The many faces of Mark Horvath and his good friend, social media, as shown in the new film "@home." Original art by Haley Jo Lewis. Equipped with a video camera, a big online following, and endless compassion, Mark Horvath documents and shares stories of people who are experiencing homelessness. The new documentary "@home" follows Mark on an 11,000-mile road trip across the United States, and introduces us to the homeless men, women, and children he connects with. Haley Jo Lewis from Seattle University’s Project on Family Homelessness reviews the film and invites you to its May 2 Seattle premiere. In the play Bethany, on stage through May 4 at Seattle's ACT Theatre, the protagonist has lost her home and her daughter, and finds herself at the edge of a precipice. Her desperate struggle to reunite her family – while keeping up appearances – eats away at her hope, judgment and sense of self. Hannah Hunthausen from Seattle University’s Faith & Family Homelessness Project reflects on drama that unfolds in the play, and relates it to the reality of family homelessness in Washington state. Rep. June Robinson of the 38th District was a freshman lawmaker this year, but she's a longtime champion of policies that will help end homelessness. She gave great advice for communicating with legislators today on a conference call hosted by the Washington Low Income Housing Alliance. Don't miss our takeaways from the call! 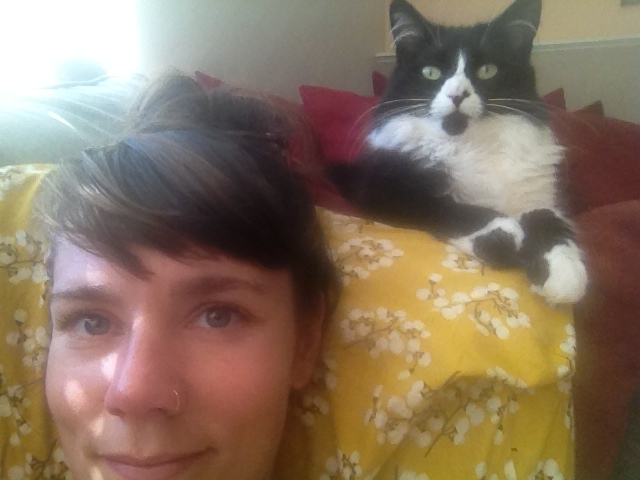 When guest blogger Kendra Gritsch thinks of home, she thinks of safety, security, love, and her cat, Miso. For some families, though, home is an unsafe and scary place. And for many women experiencing domestic violence, home is a reason to stay in an abusive relationship. Domestic violence is a leading cause of homelessness for women and children, as victims are often faced with the decision between two dangerous situations: abuse or homelessness. Kendra shares how her organization, the Washington State Coalition Against Domestic Violence, collaborates with service providers like the YWCA of Kitsap County to help survivors avoid homelessness and begin rebuilding their lives. Until recently, it was easy for organizations to reach their Facebook followers with content like status updates, links and photos. Last fall, however, Facebook changed the algorithm that determines who sees that content in their News Feeds. After we noticed a decrease in the number of people who see Firesteel's posts, we did some research and experimenting to figure out how to use the network effectively. In this podcast, we talk about about boosting Facebook engagement with and without paid advertising. We also suggest ways to expand your online presence beyond Facebook.